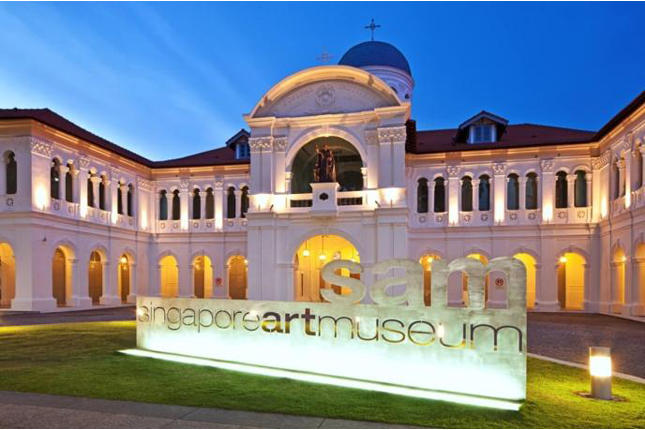 The Singapore Art Museum (SAM) focuses on contemporary art practice in Singapore, Southeast Asia and Asia within the global context. It advocates and makes accessible interdisciplinary contemporary art through research-led and evolving curatorial practice. Opened in January 1996, SAM has built up one of the most important collections of contemporary art from the region. It seeks to seed and nourish a stimulating and creative space in Singapore through exhibitions and public programmes. These encompass cross-disciplinary residencies and exchanges, research and publications, as well as outreach and education. SAM was the organiser of the Singapore Biennale in 2011 and 2013. SAM was incorporated as a Company Limited by Guarantee on 13 November 2013 and has moved from the National Heritage Board to the Visual Arts Cluster (VAC) under the Ministry of Culture, Community and Youth (MCCY). The other institutions under the VAC are the National Gallery Singapore and STPI. Visit Singapore Art Museum's website for more information.